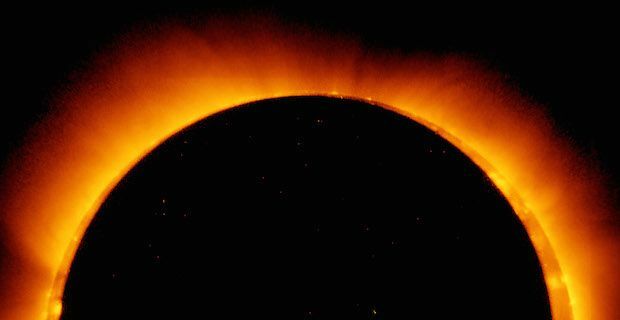 Tuesday April 29th will bring a Solar Eclipse which is expected to be a real spectacle. The sun will look like a burning ring of fire in the sky for those fortunate enough to see it. The number of people viewing it though will not be very high as the Solar Eclipse will only be visible in Australia and Antarctica. This in contrast to the high number of people who got to witness the lunar eclipse earlier this month. This type of eclipse is known as an annular eclipse and it happens when the moon is at its farthest point from the Earth. This extra distance means that the moon is no longer big enough to block out the sun entirely. The effect is a burning ring of fire that encircles the moon in what is a beautiful display. The eclipse is expected to be best in the southern points of Australia and the island of Tasmania and the further north you go in Australia the less the moon will cover the sun. Unlike the Blood Moon lunar eclipse on April 15th though, special care needs to be taken when looking at a solar eclipse. Never look directly at it at any stage but rather use a special filter or alternatively project the image onto a surface using a mirror.